WASHINGTON (CNS) — Once again, the people at Fort Hood “are at the center of national attention and the focus of our prayers,” Archbishop Timothy P. Broglio of the U.S. Archdiocese for the Military Services said in response to the April 2 shooting at the Texas military base. The archbishop said he had been in touch with the Catholic priests who serve at Fort Hood to “assure them of the solidarity and the prayerful support” the military archdiocese after a shootout at the base which left three people dead and wounded 16 others. The shooter, later identified as Ivan Lopez, then killed himself. Lopez, an Iraq War veteran who was being treated for mental illness, opened fire on the same military base where 13 people were killed in a 2009 shooting. “On behalf of my auxiliary bishops, the priests, religious and all of those who make up the archdiocesan family, I offer heartfelt condolences to the families that mourn the loss of a loved one. As believers we also pray for the repose of the souls of the victims and the assailant,” Archbishop Broglio said in an April 3 statement. “The remedy for this senseless violence can only be found in a more profound respect for human life, a deeper concern for our neighbors, a willingness to listen rather than to shout, and a reduction in the glorification of violence by our society,” he added. 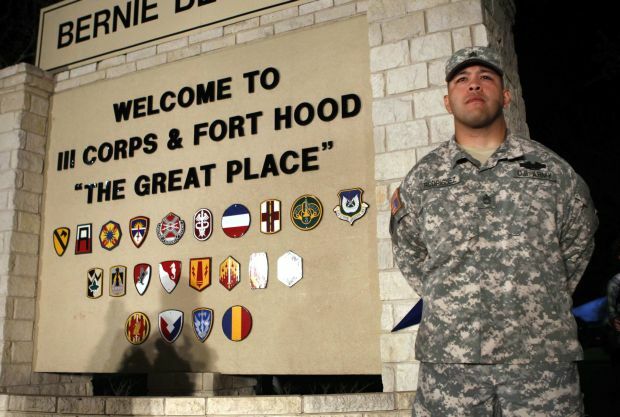 The Diocese of Austin, Texas, where Fort Hood is located, posted the simple message “Pray for Fort Hood” in the center of the homepage of its diocesan website. The Dallas Morning News said Lopez, a military truck driver, was dressed in his standard-issue green camouflage uniform at the time of the attack. He had served in Iraq for four months in 2011 and had arrived at Fort Hood in February from another base. The motive for the shooting is still unknown. Army Maj. Nidal Hasan was sentenced to death last August following his conviction for murder in the 2009 massacre at Fort Hood.